Knowing your lactate threshold is extremely important for both training and racing. Performing at or beyond this threshold results in the accumulation of lactate in the body, which quickly leads to increased fatigue and decreased performance. This testing requires taking tiny blood samples over a range of intensities and identifies the heart rate, pace or power of your lactate threshold. Using research quality analysers, we ensure that the data is the most reliable that you can get. This information can then be used to establish pacing for your threshold training sessions and be invaluable in setting race plans. For athletes who request feedback following the testing session, the data will be analysed and clearly explained to you, empowering you with the knowledge of how to set your personal training zones and intensities. 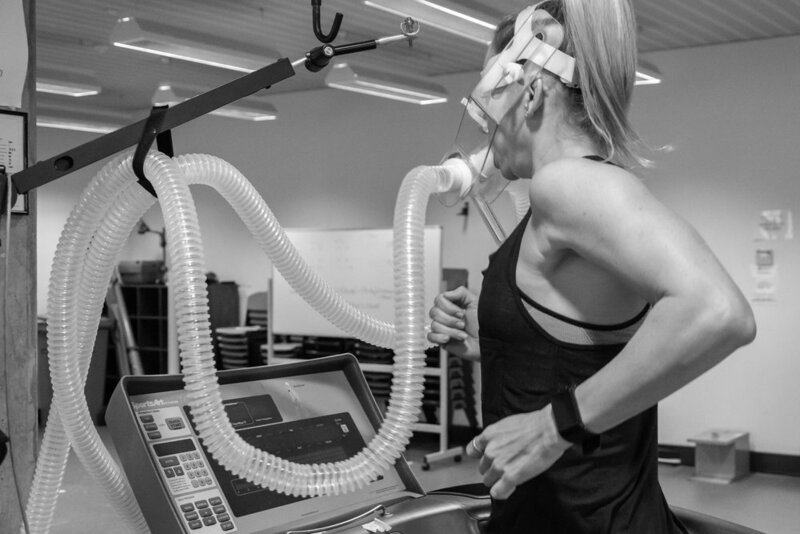 The economy of our bodies (how much oxygen we consume during exercise) is widely regarded as the most accurate predictor of performance in endurance runners and cyclists and triathletes. Knowing your running or cycling economy at a particular pace or power allows you to identify improvements from training by testing on different occasions. Economy testing will also identify the main energy substrate (fats or carbohydrates) your body utilises for fuel, which can assist in planning race day nutrition. The test involves sitting at a pre-determined pace or power on a treadmill or Wattbike whilst measuring oxygen consumption. Whilst VO2max and lactate testing are brilliant for setting training zones, economy testing is practical to see objective improvements in training. Please note that Economy Testing takes place at the University of Notre Dame, Fremantle. VO2max testing identifies your heart rate, pace or power at aerobic and anaerobic thresholds, helping you establish precise training zones. Following the test, all data will be analysed and you will receive specific feedback on how to apply your VO2max results to your specific training zones. Our VO2max testing utilises the University of Notre Dame's MOXUS metabolic cart, giving you access to state of the art equipment with unparalleled accuracy. You can either bring your own bike with a power meter or use a Wattbike provided at no additional cost. For athletes who request feedback following the testing session, the data will be analysed and clearly explained to you. This information can be implemented into your training and racing for optimal performance.